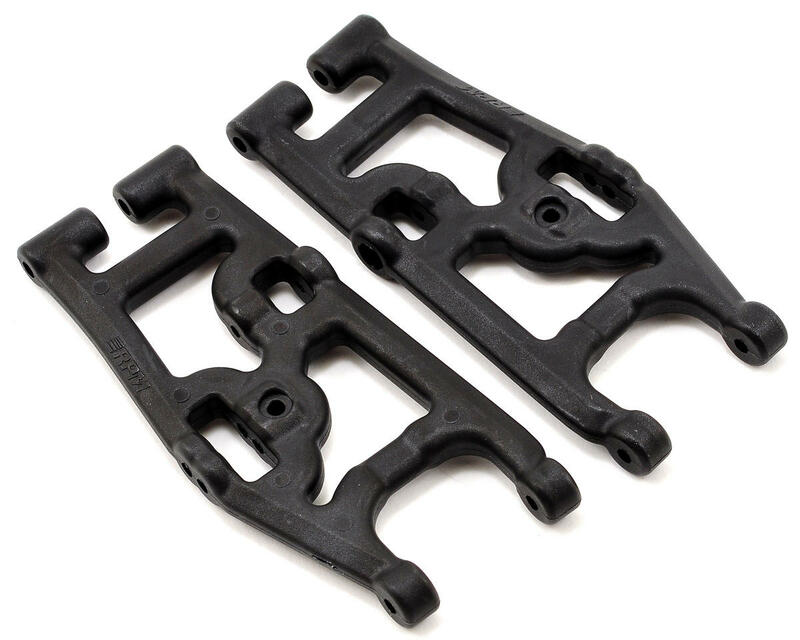 This is an optional RPM Rear Arm Set, and is intended for use with the Associated SC10 4x4. Following the release of RPM's front A-arms for the Associated SC10 4x4 (RPM73962), they now have a set of rear A-arms to complement those fronts for complete SC10 4x4 protection! Once again, strength and durability were primary design considerations for these rear A-arms. Similar to the fronts, hinge pin and cross-holes such as shock mounts and anti-sway bar holes have been beefed up for some serious muscle. The structure of the A-arms is also dramatically different than the stock design, which not only helps with the strength and sturdiness of the overall design, it also helps contribute to a stronger, less flexible design than the stock A-arms. All this extra strength and at a weight that is actually 2-1/2 grams per A-arm lighter than stock A-arms, for a total weight loss of 5 grams! 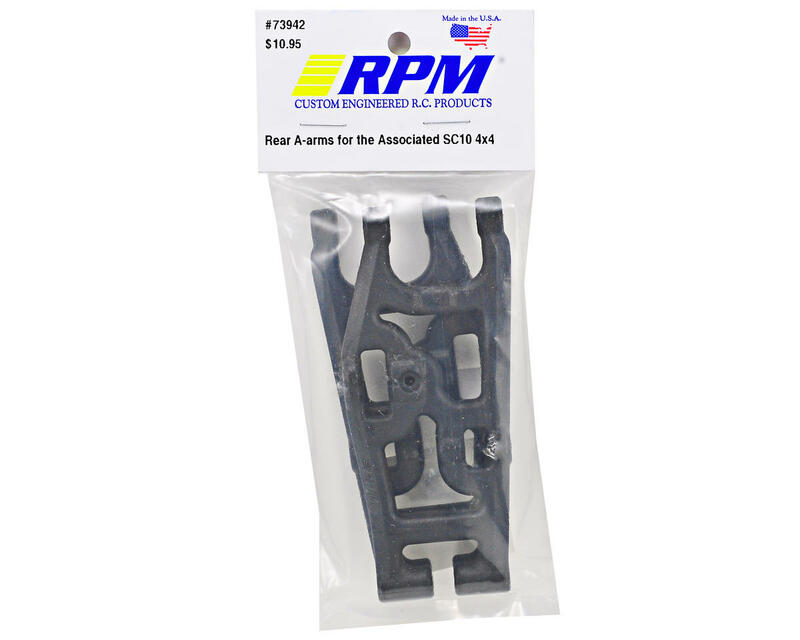 RPM rear A-arms for the SC10 4x4 are molded in from RPM's black trademark blend of extremely durable materials and are backed by RPM's limited lifetime warranty.